The William Brigman TJPC Award. 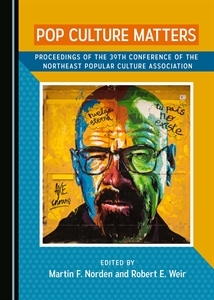 This award is for graduate students who write an article for consideration by The Journal of Popular Culture and who also plan to present a version of their article at the National Popular Culture Association Conference. The award-winning essay will receive automatic publication in the TJPC (identified in the journal as the winner of The William Brigman JPC Award), as well as a $500 travel award. Graduate student articles that do not win the award, but that are considered superior, may also be published in The Journal of Popular Culture. 1. a cover letter identifying authors as graduate students applying for The William Brigman Award, along with their contact information. 2. a photocopy of their graduate student identification card. 3. a copy of the acceptance letter/email from the PCA area chair who accepted their paper for presentation in the national conference. Authors must then present a version of their essay at the upcoming National Popular Culture Association Conference, where the winner for The William Brigman Award will be announced. Essays must ARRIVE at the journal by January 1, 2018 in order to be considered for the award for that same calendar year.